Smartphone game makes the jump to console. 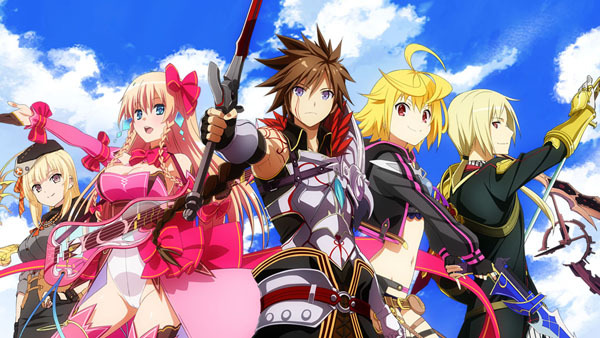 Kai-ri-Sei Million Arthur is coming to PlayStation 4 and PS Vita in Japan this summer, Square Enix announced. Pre-registration for the PlayStation versions will begin on July 8 at 13:00 JST. Visit the PlayStation versions’ official website here. 1. Challenge your toughest enemy via Real-Time Party Play! Play with up to 4 players simultaneously. Use ‘Chain Attack’ triggered when you select the same knight card as your friend’s card and ‘Weakness Attack’ on the raid boss in order to defeat your enemies! 2. More massive, vibrant scale! All cards and characters have become lively with top-quality voiceover artists. 3. Constant, Non-stop Turn-based Battles! Lead your attack in each turn with a fixed cost and trigger ‘Awakening Skill’ by matching your Arthur and card’s type! Collect evolution materials to upgrade your card as well as the illustration! Earn Fame Point through combining the same card and increase your chance to obtain a new card in the battle! Dynamics of Card Growth System adds more fun to the game. 5. Build your own deck with unique skills and attributes! The most powerful deck is now yours to build with 5 attributes and one of 4 classes: Millionaire, Mercenary, Thief and Diva. Watch the PlayStation announcement video below.